So you’ve decided to take some piano lessons . You feel quite accomplished and proud for learning a new skill, and you want to take more lessons in a location to benefit your community as a whole. Here’s where you can either become a piano teacher or go into church piano lessons. If you’re not the teaching type, you can still learn your musical skills and practice in a beneficial way by going to play for a local church. Church piano lessons teach you how to play the songs people sing along with every Sunday during worship services. Church piano lessons teach you how to play hymns on the piano for the church on a volunteer basis – really I know of no one who gets paid to do this, unless it’s a fairly wealthy church. Even then, the main reward is in the community ties. Local churches offer positions for pianists that you can offer to take. It’s good practice for your church piano lessons. Church piano lessons will teach you how to read hymn music and play along with voice accompaniment. Usually, this means being able to adjust volume according to the people you’re playing with, and knowing when to accent or hold your notes. The piano part is important in church, because it often serves as the instrument that everyone uses as a reference. Also, church piano lessons teach you how to memorize hymns and be able to play them by heart if necessary, and how to blend in with other instruments. If youth ministry is involved, you can expect to work with them as they play guitar, bass, keyboard or other instruments. Church piano lessons usually show you how to play a few of the most well-known hymns, such as the Doxology, which is often played in Protestant churches. Amazing Grace, How Great Thou Art and even Christmas Carols are some of the most widely practiced hymns. Taking piano lessons in church is a good way to start learning more about music and to get opportunities to practice with other people, either by playing along with hymns or by playing as part of a larger church ministry. 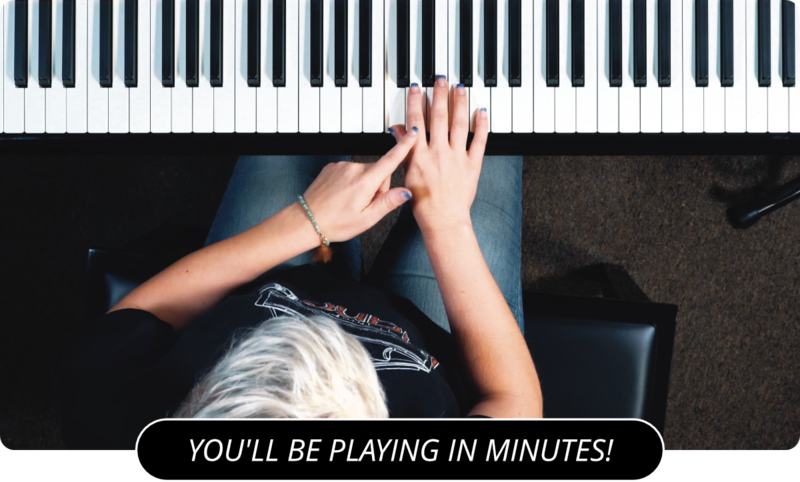 If you’re good enough at your church piano lessons, it’s possible you might even become a music minister yourself. In this case, be confident of your own skills because you know them better than anyone. Don’t be afraid to show enthusiasm, as that goes a long way. Part of the experience, some people say, is getting swept up in the music and letting the mood enhance your playing. Church piano lessons are usually offered by the church music director. Churches usually have activities going on all days of the week, not just Wednesday and Sunday, and these other days might include music lessons. Church piano lessons are a good way to help you find inspiration in your playing and to become a part of a group. The added bonus is that you can genuinely feel that you’re touching peoples’ lives with your playing.. If you are looking to add to your piano styles, you need to check out these jazz piano lessons and blues piano lessons . Learn more about church piano lessons by visiting the main page of PianoLessons.com , or by browsing through some of the other great piano lesson articles that we have posted on this web site.